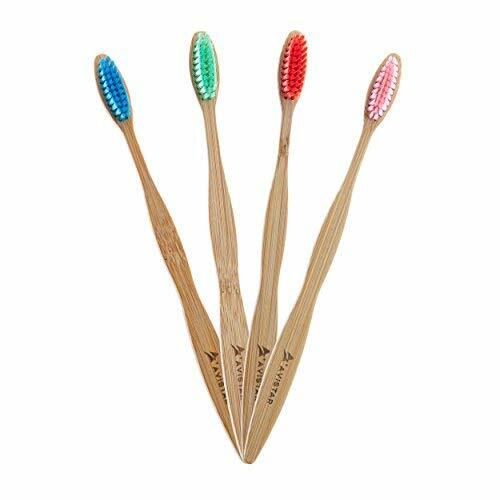 20 Eco-Friendly Bamboo Toothbrushes: The World’s Most Convenient Bamboo Toothbrushes With BPA Free Nylon Bristles, In 4 Colours and Individually Packaged! Product prices and availability are accurate as of 2019-04-11 19:14:07 EDT and are subject to change. Any price and availability information displayed on http://www.amazon.com/ at the time of purchase will apply to the purchase of this product. Use our high quality eco-friendly toothbrushes for good health, fresh breath, confidence, a radiant smile at home and on the go! Always have great breath and clean teeth, no matter where you are with Avistar's High Quality Eco-Friendly Toothbrushes! ►Our Brushes Keep On Giving - By creating our handles from Bamboo, we collectively help our planet and environment by reducing plastic contribution to landfills. Avistar's bamboo toothbrushes are designed to be sleek and easy to use, without ever using low quality bristles and they don't give feel awkward when using them. ►The Perfect Travel Toothbrush - Getaways, business trips, planes, boats etc. Avistar has you covered. Anytime, anywhere and at any moment, you can easily carry our eco-friendly bamboo toothbrushes with you! 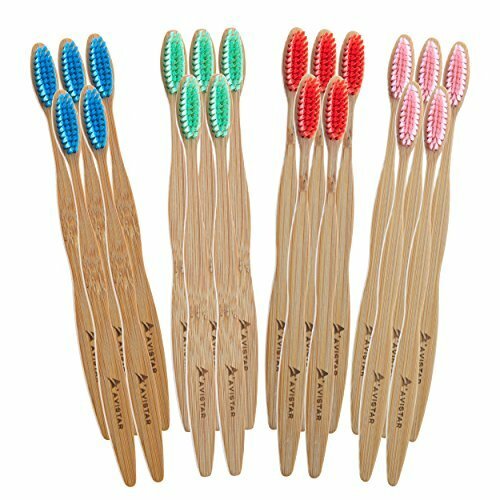 ►20 Toothbrushes per pack with four different colors, covers your brushing needs for a very long time. You won't be needing more toothbrushes any time soon! ►Individually Wrapped Eco-Friendly Bamboo Toothbrushes in Sterile Packaging: Every brush is guaranteed to be clean, safe, and sterile! Click Add To Cart Right Now to get your 20 bamboo toothbrushes mailed to you immediately! 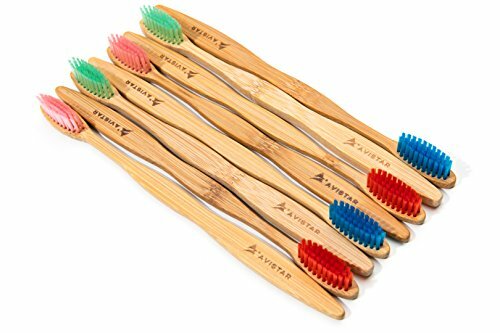 Eco-Friendly & Ergonomic: Avistar's bamboo toothbrushes were hand made to be sleek, easy to use and brush just like a regular plastic toothbrush. No more clunky, hard to hold and easy to rip bristles. Convenient & Easy To Use: With 20 toothbrushes in four different colors, all labelled accordingly and individually wrapped, you can easily organize the bamboo brushes to fit your needs. The Perfect Travel Toothbrush: Going on a long vacation, business trip, camping or just lead a busy lifestyle? Conveniently keep our individually wrapped toothbrushes in your bag, car, locker, office etc. and use them at a moments notice. 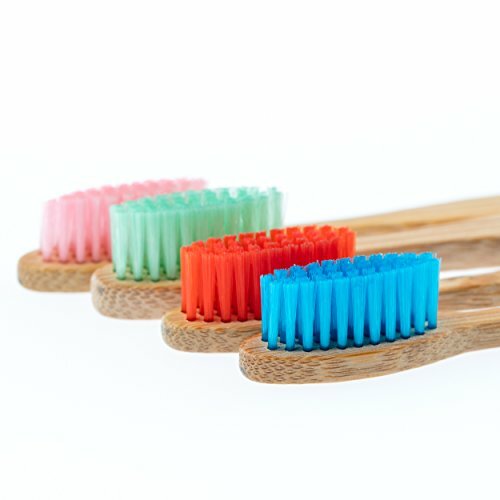 Best Eco-Friendly Bamboo Toothbrushes - Whether you change brushes often or they get chewed up because of braces/invisalign, buy Avistar to not only save money but to help clean our planet while maintaining the quality you deserve. Avistar doesn't promise quality, it's guaranteed. Our individually wrapped bamboo toothbrushes with high quality packaging ensure that your brushing experience is always a safe, convenient and enjoyable one!